Edinburgh’s stunning landmark venue, The Hub, has launched its corporate packages for 2018 with a renewed focus on luxury dining and best in service. 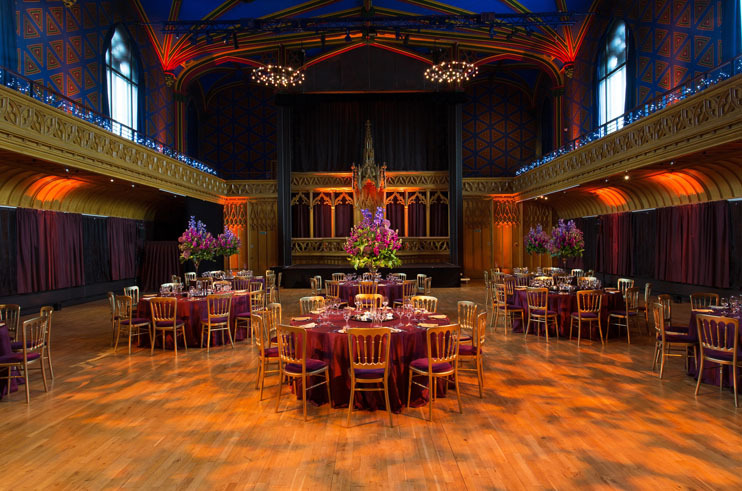 Close to Edinburgh Castle and with the spectacular modern backdrop within a historic setting, The Hub is a superb location for corporate and group events. The new packages include options for gala dinners, product launches, meetings, exhibitions and events. The Hub is fully accessible, has professional event planners and is renowned for its high quality catering combining Scottish flavour with a contemporary edge. Head Chef, Denis Zominy uses both classical and Scottish influences in his menus and has introduced local and seasonal ranges ideal for a small dinner for 20 or a gala dinner for 300. With options including the Taste of Scotland dinner which is ideal for a major event, and a range of menus which bring a true Scottish flavour, event planners have a superb choice of options. The Hub, at the top of the historic Royal Mile is one of Edinburgh’s most dramatic venues. The magnificent Grade A Listed building is renowned for its integration of contemporary design and facilities within classical Victorian architecture. It has a richly decorated Main Hall, elegant Dunard Library and vibrant Cafe Hub which are ideal for gala dinners, weddings, ceilidhs, exhibitions and special events that demand a creative edge. The Hub has a selection of spectacular rooms that can be hired for exclusive events throughout the year. Please email or call the events team on 0131 473 2015 for further details.